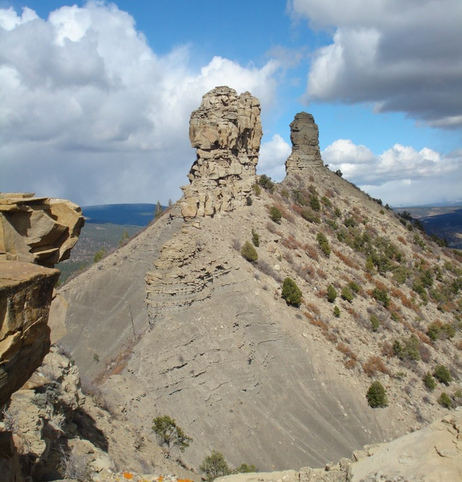 By Allison SherryPresident Barack Obama will designate Chimney Rock as a national monument Friday—a move that will help preserve 4,726 acres in southwestern Colorado, administration officials said. Chimney Rock is in the San Juan National Forest, surrounded by the Southern Ute Indian Reservation. The land will be managed by the U.S. Department of Agriculture and the Forest Service, and White House officials said they will work with the tribes in the area. Ranchers will maintain grazing rights. By Mark MemmottIn his statement confirming the news, Bennet says Chimney Rock "contains the rare combination of a spectacular geologic formation with extraordinary cultural, historical and archeological significance." The Chimney Rock Interpretive Association says the site "was home to the ancestors of the modern Pueblo Indians 1,000 years ago and is of great spiritual significance to these tribes. Their ancestors built over 200 homes and ceremonial buildings high above the valley floor, probably to be near the sacred twin rock pinnacles." According to The Durango Herald, the designation will safeguard "the ruins of a thousand-year-old great house connected to the Chaco Culture of present-day New Mexico" as well as the two spires.Comment: For more on Pueblo Indians and national parks, see False Kiva in Motion and Chaco Canyon Quarter Debuts. When President Barack Obama designated the new Chimney Rock National Monument (Monument) September 21, he affirmed the area’s centuries-old cultures that are maintained by today’s tribal descendants. The designation also carries the potential for increased tourism in the area. As the president’s official proclamation was signed in Washington, D.C., a community celebration was held at the southwestern Colorado Chimney Rock site just before the autumnal equinox, with aspen trees turning gold in the surrounding San Juan mountains and a strong hint of fall in the air.